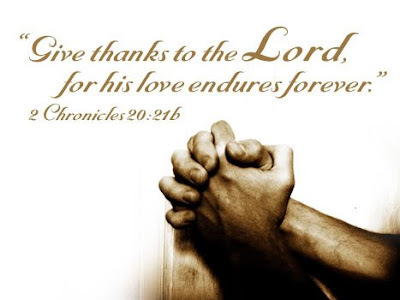 Thanksgiving Day is the day to give thanks for all the heavenly and the earthly blessings he has given to us in spite of our unworthiness to receive it and also for all the blessings that He has in store us in the future. The day we forget to be thankful to God for all the blessings of God in the past year, is the day we will lose the meaning of enjoying life to the full. The power to enjoy life only comes to us when God's awesome presence sustains us to experience His goodness in our soul. Thankfulness draws God's blessed power upon us which enables us to enjoy life to the fullest by all means. Love you all this Thanksgiving Day. May your hearts and home be full of divine blessings on this Thanksgiving! Household greetings to you all straight from my heart. Happy Thanksgiving!